The video starts by showing off an AR drawing app and highlighting the flaws in ARKit and ARCore experiences that are all too familiar. The doodle sinks below the floor level and shows through physical objects, upsetting the intended illusion of reality the experience is meant to deliver. By contrast, the 6D.ai-powered demo shows how the illusion remains magically realistic via occlusion. In the same environment of the AR drawing example, virtual balls are shot forward. The balls bounce and roll on the floor, and then disappear behind obstacles. I've tested numerous AR mobile apps, so 6D.ai is preaching to the choir in terms of addressing one of AR's major flaws. For example, I've seen sports cars take flight instead of sticking to the road as they should in AR, and zombies phase through doors and floors, destroying the illusion of those zombies being rooted in the real world. Today, the company released an update to its closed beta SDK that enables developers to implement occlusion and physics meshes. The update, similar to the Niantic Real World Platform, allows content to disappear behind physical obstacles and reappear on the other side. 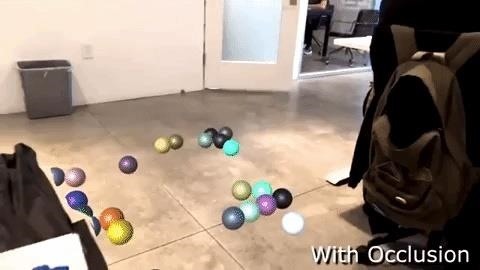 6D.ai's platform adds another dimension by employing physical meshes, which enable the balls in the demo to do things like land in the bowl on the table and roll off various surfaces. 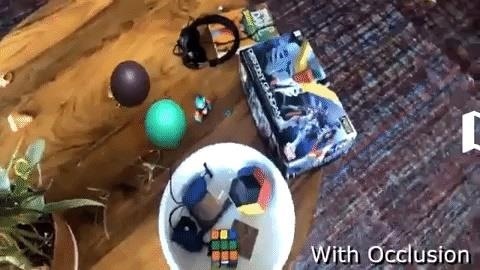 With ARCore and ARKit introducing shared experiences, and ARKit adding persistent content, occlusion is the next big thing for mobile AR. 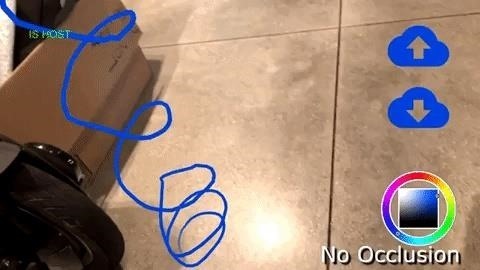 For now, Niantic and 6D.ai are in the lead regarding this kind of mobile AR dynamic, but time is ticking for them to advance their platforms to facilitate a release for the general (non-developer) public. It's only a matter of time before Apple and Google catch up.